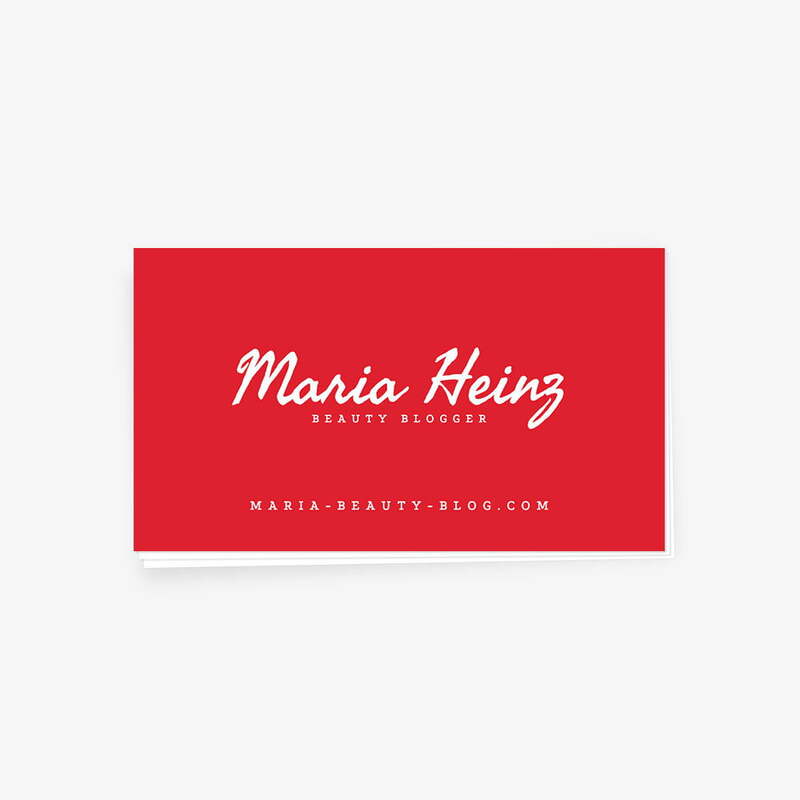 Home » MakeBadger's templates shop » Minimalistic Beauty Blogger’s business card. OBC-07. Stylish minimalistic red card with the modern font. Suitable for beauty bloggers and other creative persons. All that we do in business today is digital – sending letters, contracts, attending meetings and conferences. The business card is one thing that computerized won’t completely supplant at any point in the near future. Networking is tied in with making real associations. Sending contact data through text or email on the spot is helpful however it is additionally amazingly generic. Taking part in eye to eye connection and genuine discussion is the means by which real relationships start. Want an impressive business card but lacking in inspiration? The free business card template will help you create a card with ease. Take a look at this online name badge template! Feel free to customize it as you wish.